Foxy 27,5 Stealth Air full Carbon Structure, Zero Suspension System, Forward Geometry, aluminium CSC upper link with carbon bridge, Boost 12x148mm rear axle, BSA 73mm bottom bracket, dedicated 1x drivetain design, Tapered head tube, HHG internal cable routing, Enduro MAX sealed bearings, mudguard for shock, ISCG 05, custom chainstay protector, carbon fabric protector in the diagonal tube, 150mm of travel. *Optional Geometry Kit. 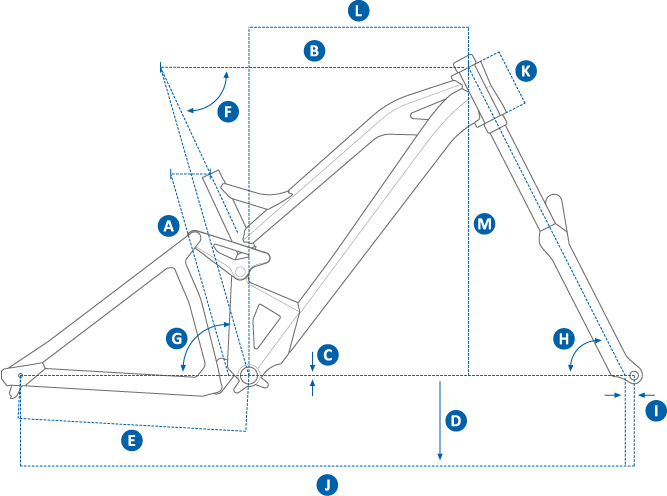 Mondraker aluminium 6061 double-Tapered. Exclusive design for Foxy Carbon R, height 20mm, width 780mm, 9? backsweep, 5? upsweep, diameter 31.8mm. RockShox Deluxe RL Debonair. Settings: rebound, compression (2 positions: Open/Pedal), air preload. 205x62.5mm. Trunnion top mount, 22.2x10mm bottom bushes. * Optional Geometry Kit: chainstay adapters to 435mm. Headset cups /- 1?.